Facilities | PrecisionWorks Manufacturing | We Build Solutions. Colorado – Located in Berthoud, Colorado, our centrally located hub and operational headquarters allows us to quickly and efficiently meet the needs of all our customers. Kansas – This centrally located warehouse in Salina offers JIT and KANBAN services, so we can efficiently handle all your inventory and shipping needs. Michigan – For our customers on the East Coast, our Imlay City warehouse also offers JIT and KANBAN services. 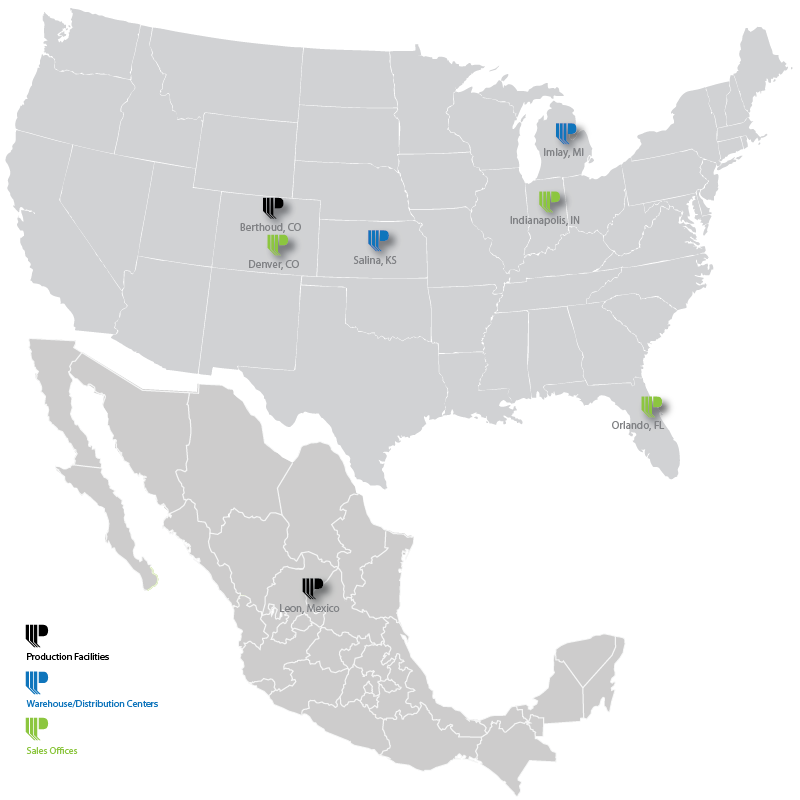 Mexico – Our Mexican manufacturing facility located in Leon is set up for high volume orders; so large orders are never a problem.